Many ink color choices in medium or fine point. Use item #1043 for gold trim. Here’s another jewel in the Bic collection. 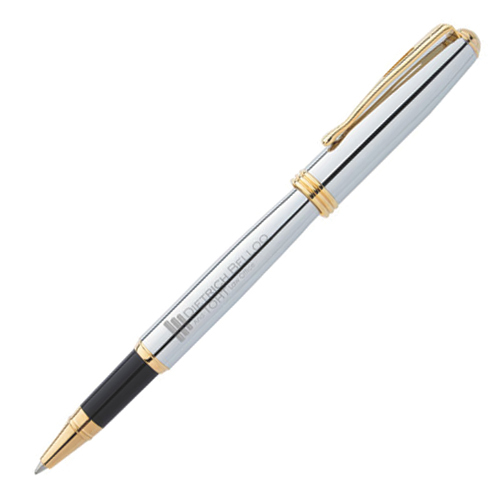 The custom Bic Clic Polished Nickel Pens are the thing to give as gift items. 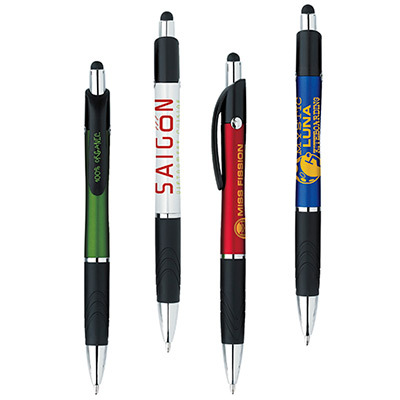 Using promotional Bic advertising pens is a way to impress your clients or business associates. The smooth flowing ink and ergonomic design make it easy to write with. It is a pen you will treasure. 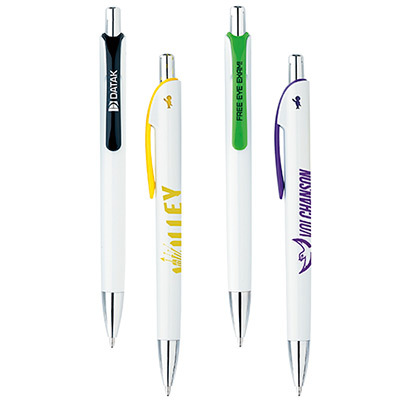 Get a logo or a message on the barrel and make the promotional Bic advertising pen a more personalized gift. 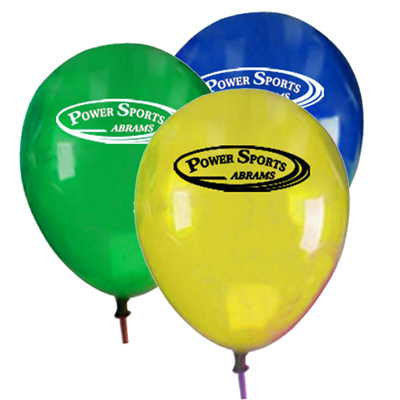 "We gave these as souvenirs to our customers during Christmas. The nickel trim adds more classiness to the pens." 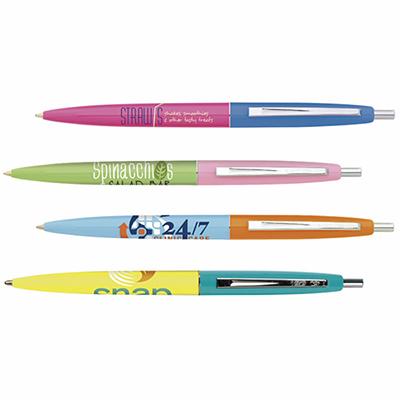 "I liked the nickel trim these ball point pens featured and ordered 300 of them last month. Writes well and smooth." Popular pen makes a great advertiser!